Why our future is PV solar-powered (photovoltaic)? What does the future hold for us? Will humankind continue to reach for the stars now that the space shuttle is retired and will we power our homes using the sun’s energy in the 21st-century? These are just some of the questions we put to the founder of Power My Home, Stuart Lovatt. Born at a time when we detach from living with nature in the raw, only needing to survive in the ‘bubble’ we call civilisation, I, like you, have never had to think about my place in nature. However, thousands of years-probably more-of human intervention with nature, culminating in the last 500 years of industrial impact, means we are gradually losing the very thing that we need to survive, bio-diversity. We merely need to change how we live to prevent any further devastation of our home planet. Why do you think solar panels will help? One of the most significant problems which affect our impact on nature is the global and industrial scale on which we burn fossil fuels like coal, oil and gas. I decided, long before solar panels became a green alternative, to help change the way we heat and power our homes, which accounts for 47% of our CO2 emissions. Do you really think solar panels will become popular? We don’t have any choice but to adopt this technology. We have all seen our energy bills climb higher and higher over the last couple of years, but this is one of the consequences of having 7 billion people on the planet and dwindling, finite resources. If you don’t want to buy solar panels today, the upward trend of energy prices will mean that, within at least the next decade, everyone will need to reduce their dependence on ever-increasingly expensive energy supplies. Have you seen a change in the type of people installing solar panels? Because when I first began selling solar panels in 2004, the demographic was undoubtedly leaning towards green-orientated and environmental types of people. However over the last couple of years, we are now seeing more ordinary folk, even retired and retiring people who just want to keep their energy bills down for the next 30 years. Because of the longevity of this type of technology, people are now waking up to the benefits of generating their heat or power. Why do you see energy prices continuing to rise? It’s not just me-it’s the energy industry itself. Common sense dictates that one day we will come to a point when the more oil we use, the sooner we will use up the finite reserves we have. This situation is called peak oil. The problem we have is that China and India are now taking up these reserves at a quicker and quicker rate. As soon as the significant oil fields run dry, we shall have a problem, and the signals coming out of Saudi Arabia, which has the world’s largest oil field, is not suitable. Western society shot itself in the foot when it helped to industrialise China and India. The quicker we all learn to function on smaller amounts of oil, the less of a shock it will be when we encounter the unpleasant effects of peak oil. Oil companies are attempting to extract oil from evermore last places. That is a sure sign we were scraping the proverbial barrel already. How do you see the solar panel industry growing? The government’s feed-in tariff scheme has made solar technology financially viable for everyone, so growth within the industry is already happening fast. I foresee solar technology adoption to mirror the energy pricing. 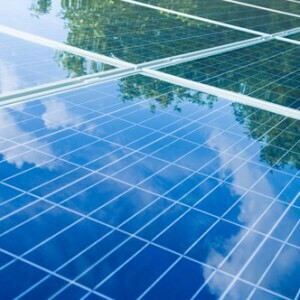 Prices rise, sales of solar panels go up. However, if there is a sudden disruption to energy supplies or a significant spike in energy costs, then suddenly everyone will want panels at the same time, which will be logistically impossible to cater. Under such conditions, the current generous feed-in tariff rates will disappear overnight to new solar adopters, so this is why I am religious about telling people to install today and benefit today, rather than waiting until tomorrow when it could be too late. Will mankind ever set foot on Mars? Like anyone who grew up during the Apollo moon landings era, we all thought we might set foot there in our lifetimes, but I think with the retirement of the shuttles the writing is on the wall. I think we have gone as far as we can with manned craft unless we find a cheaper alternative to current rocket fuels. Governments have learned that robots are much more affordable and safer, so hopefully, we will be collecting ice cores from Europa very soon, but a man on Mars will always be a one-way trip, and that would be a publicity nightmare for any government to risk. John F Kennedy gambled and won with the moon missions, but Mars would be too risky with current technological constraints. So you see a dark future ahead for humanity? If we carry on as we are doing, with environmental destruction and not conserving the oil that is still on the ground, then yes, it’s a one-way ticket which either our generation or our kids’ generation will suffer. If everyone-including governments, companies and individuals -begins to implement changes immediately– changes which should have been put into practice 20 years ago -the future may not be quite so depressing as it seems at present. After all the current growth or die system is failing anyway, so there is an opening for and probably a ‘Nobel prize’ to anyone who can figure out a controlled commercial contract, which is the only way humankind will solve these enormous problems. A ‘controlled economic contract’, which is the only way humanity will solve these enormous problems. Sounds very depressing, so how do you get out of bed in the mornings? Looking on the brighter side, I am happy that I lived through the golden age. Throughout man’s history, he has never had it so good as at this present time, for the last two generations, from the 1940’s baby boomers to my current age, have mostly enjoyed the global peace and a life where food and heating have been plentiful. We have explored the solar system and seen the universe in which we inhabit in so much detail that even Sir Isaac Newton would be jealous of me. No human who ever existed had it as easy as today, nor maybe those who may live in the future. That’s coming from someone who grew up on a council estate in the 1970’s. We may never build starships, but building a better future is still possible if we make it so. The fight for civilisation’s won; the challenge of keeping it has just begun.